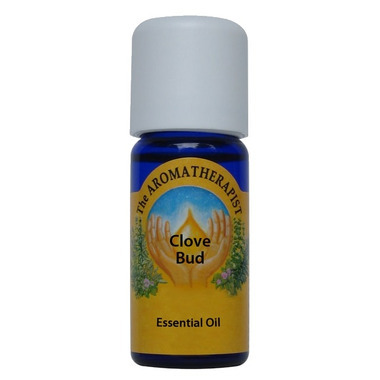 The Aromatherapist Clove Bud Essential Oil is mentally stimulating, promotes feelings of ease, clarity and comfort. Common Uses: Is considered to be an effective analgesic (pain relief) for muscle tension, arthritis, sciatica, rheumatism, sprains and toothaches. Warm and spicy aroma, beautiful Fall, Winter and Christmas scent. Can repel flies, wasps and ants. Blends Well With: Orange, Lavender, Ylang Ylang, Black Pepper, Jasmine, Rose, Lemon. Inside Info: An excellent treatment for sore and tense joints or muscles is Clove Bud and Lavender Highland. For a DIY massage oil, combine 2 drops of Clove Bud and 20 drops of Highland Lavender into 30 ml of carrier oil, apply to the area. Place a heat pad overtop to maximize the effects. Add this blend to epsom salts for a healing bath. Recommended Usage: Many of the benefits of essential oils come through inhalation, diffuse in your environment, use in your bath, shower or massage, make a personal scent or a room spritzer. Can be irritating to the skin, use with care at low dilution and skin test on a small patch of skin before using.